Samsung’s initial invite to its IFA press event teased watches, but this morning, the upcoming Gear smartwatch has essentially been confirmed. 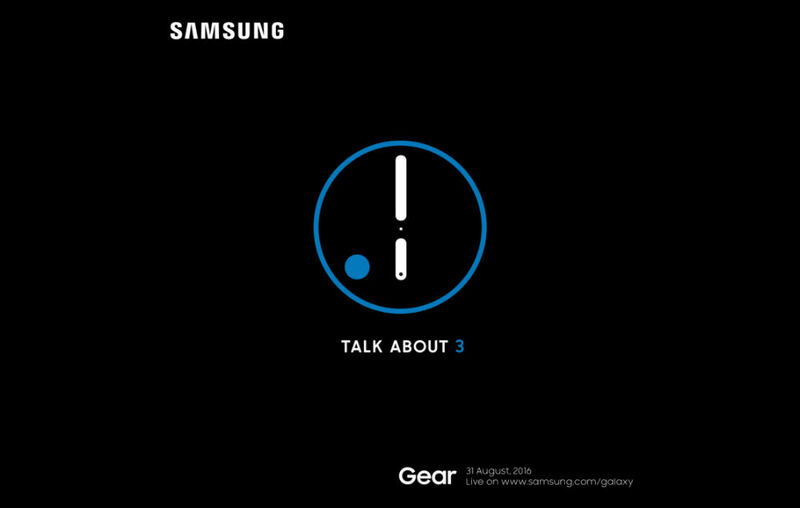 In a new invite image, for what appears to be a separate event, Samsung shows off yet another watch face, but also states that they will “Talk about 3,” as in Gear 3. If that’s not enough confirmation for you, the bottom of the image also states “Gear,” so we pretty much know what to expect when August 31 rolls around. Again, the first invite states that the company’s press conference will happen on September 1, but this event is set for August 31. Apparently, Samsung is going to have a busy IFA. Taking place in Berlin, the time on August 31 is set for 18:00 CET. For the US, that translates to 10AM Pacific (1:00PM Eastern). Who is ready for a new Gear smartwatch?